At first, I wasn't sure how to take the comeback of the late 60's trend. It seemed overwhelming to me considering my small size. 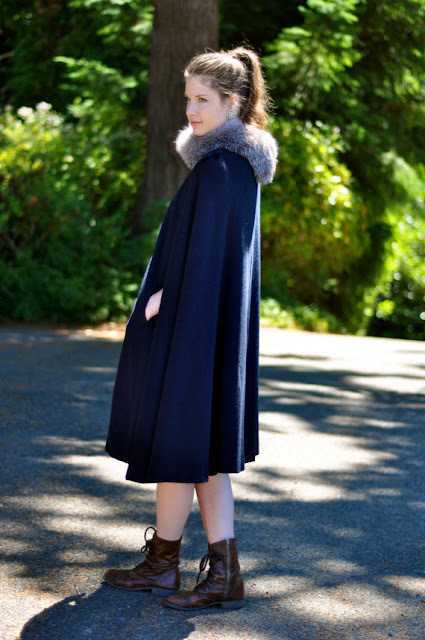 Fast forward a couple months to last winter (2011), that is when I found myself all about the cape coat. I purchased a beige one to wear on a February trip to New York and wore it almost every single day. The practical side: it kept me warm, able to bundle up without feeling like a sardine, and still get a cool breeze flowing through. The fashionable side: I liked the flow, I was able to wear dramatic long gloves and have the length show, and it was an all around trendier option. 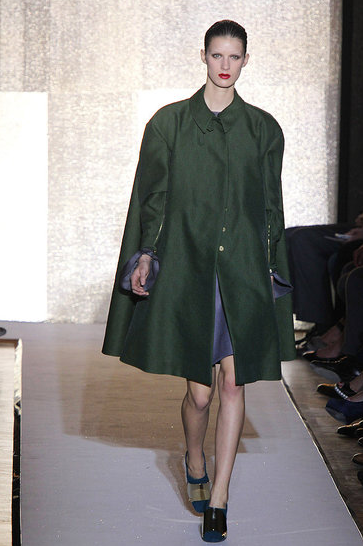 Therefore, this fall, when I spotted another mini cape coat (I'm small so I cannot be bogged down by the longer styled coats) at Benetton in Paris, I snagged it without a thought. Over the past year I've thrifted a couple cape coats, both of which I thought were pretty stunning. Of course they sold very quickly considering the rising popularity of this style. 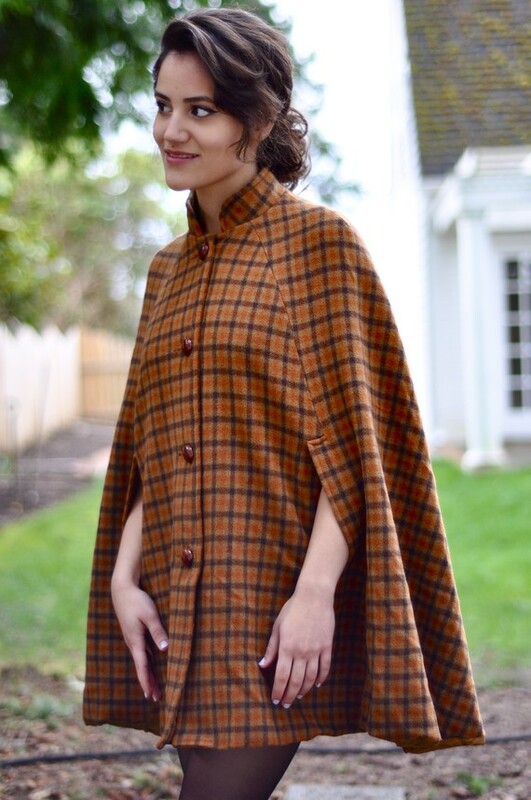 This plaid version is adorably quirky and almost Sherlock Holmes-ish. It was an instant hit. This longer version looked awesome paired with my fur headband gone neck warmer. It is a stunning, dramatic option for the taller ladies. Stay warm and enjoy something pumpkin flavored before fall is over.